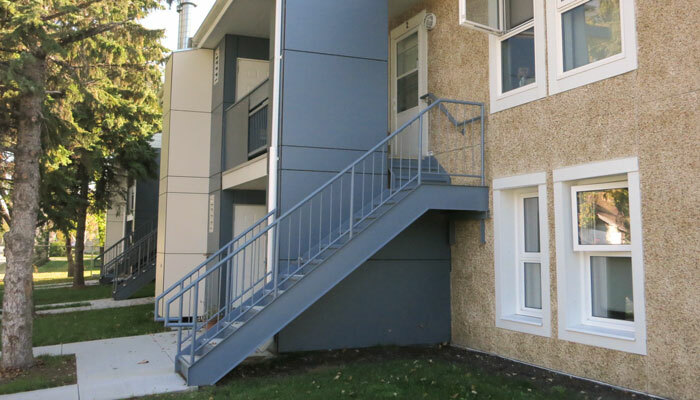 This project entails a complete interior and exterior rehabilitation of 60 housing units for Manitoba Housing. 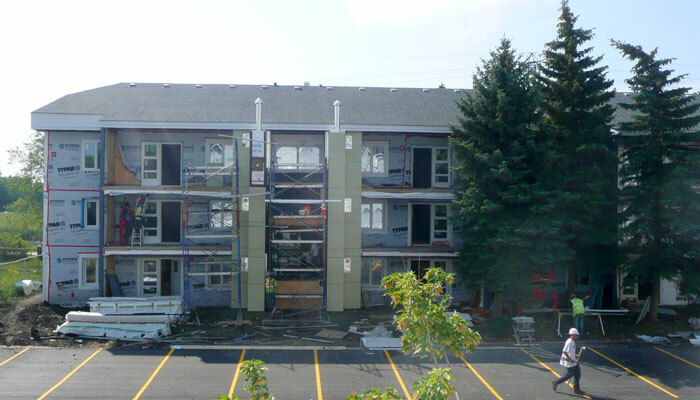 The work for the two and three-storey apartment buildings includes upgrading of insulation to current-day standards, energy conservation measures, installation of new mechanical systems, complete interior renovations and new exterior finishes. 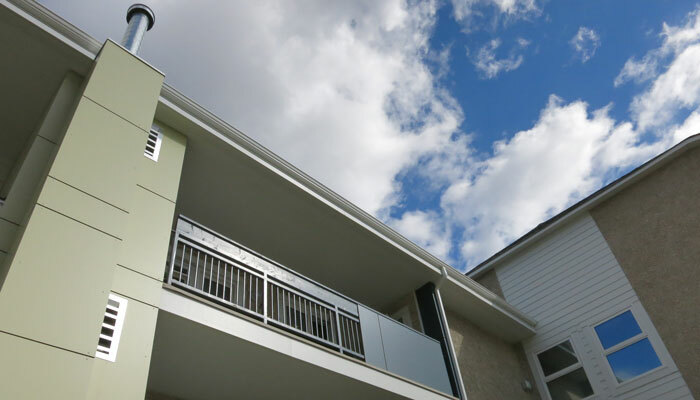 Heat recovery ventilators (HRVs) were installed for each unit to improve the air quality and help prevent future humidity-related moisture damage. 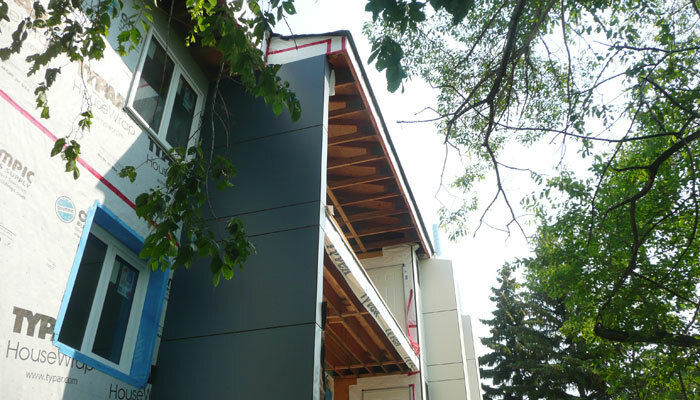 The project also includes the installation of new windows and roof shingles, as well as a complete refurbishment of the sidewalks, parking and landscaping. 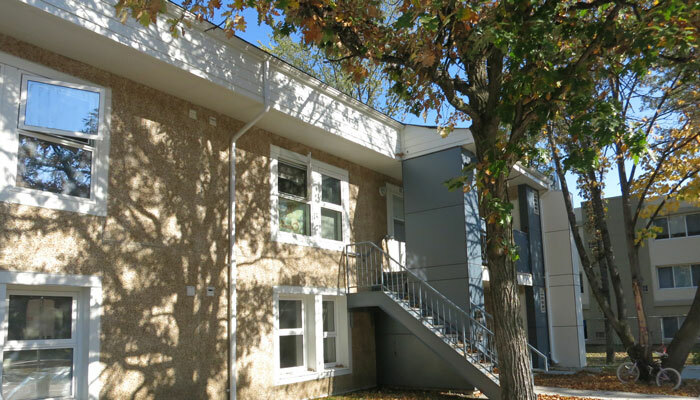 Six main floor units were renovated to accessible/visitable guidelines, including larger entrance areas, wider doorways, and accessible bathrooms and laundry areas.